When you've had an accident, you've had all the troubles you need for one day! Bailey Brothers Collision Repair provides north central Missouri with professional automobile and truck collision repair services from its shop in Brookfield, Missouri. The owners and staff of Bailey Brothers Collision Repair are dedicated to customer service through the process of repairing your car or truck. 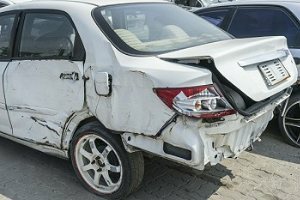 You can count on the professionals at Bailey Brothers Collision Repair for damage estimating, insurance coordination and the highest standards of repair. Let Bailey Brothers Collision Repair make a bad day better. Damage estimation and coordination with your insurance carrier. Trained professionals using the industry's leading equipment assure you of a vehicle that looks like it did before your accident and drives like new. Painting and final detailing of your car or truck makes it showroom perfect. Bailey Brothers Collision Repair can provide assistance with towing your vehicle and can provide car rental assistance from our shop. Please call us during normal business hours for additional information.